Last December marked the 80th anniversary of the sinking of the US gunboat Panay by Japanese aircraft, an incident that predated the Japanese attack on Pearl Harbor by four years. The sinking of the Panay was frontline news, but unlike the reaction to the sinking of the Maine in 1898, the crisis elicited more apprehension than outrage. 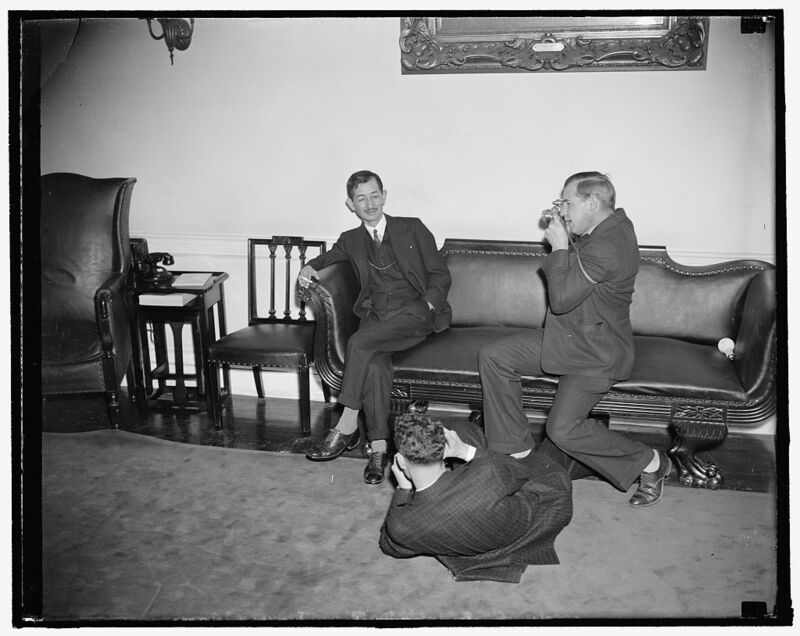 Public opinion and Congress feared an overreaction on the part of the executive branch, with isolationist papers and politicians asking why US naval vessels had been stationed in China in the first place. A broad spectrum of the public feared that FDR’s response would somehow entangle the United States in the ongoing Sino-Japanese war, and Congress sent a clear signal that it had no intentions of authorizing any sort of military response. Much of the literature on the Panay focuses on the incident itself, rather than on political response to the crisis. The tale of the attack on the Panay is a riveting drama, encompassing eyewitness accounts of dive bombing aircraft coming so close that American sailors could see the faces of Japanese pilots, of the “pantless gunner” of the Panay who had rushed up to the ship’s deck half-dressed in order to man one of the 30 caliber machine guns, and of a heroic executive officer who suffered a neck wound and was unable to speak but calmly wrote out orders on the back of a nautical chart as blood dripped onto the chart. 1 The drama of the incident too often pushes its real significance into the background. Focusing on the dynamics of presidential decision making, this article explores several key areas where foreign policy, naval diplomacy, and crisis decision making overlap. 2 Was the incident entirely unanticipated, or had China experts feared that something of the sort might happen? Once news of the Panay’s destruction reached Washington, what courses of action were presented to the president and what avenues did FDR push his subordinates to examine? Why did FDR decide to select the option he did? And how does this inform our understanding of developments in 1941? On August the 22nd, 1937, Admiral Harry Yarnell, Commander in Chief of the US Asiatic Fleet, dispatched a stern protest to the Commander of the Japanese Third Battle Fleet whose ships were firing on Chinese positions near Shanghai’s International Settlement. Yarnell, joined by his British and French counterparts, complained that Japanese destroyers were shooting directly over his flagship and other non-belligerent naval ships. He objected that the Japanese were endangering neutral shipping caught in the crossfire between Chinese and Japanese forces, noting that two days earlier a shell had landed directly on the deck of his flagship, killing one American sailor and wounding eighteen. Admiral Yarnell urged the Japanese admiral to shift his warships to a different anchorage so that the USS Augusta and other neutral vessels moored off Shanghai’s bustling waterfront, the Bund, would not be further endangered. 3 Yarnell’s request was duly conveyed to Tokyo, and while the Japanese government responded reassuringly that it had directed its forces to exercise utmost caution so as to avoid incidentally damaging Western embassies or ships, the reality was that the escalating conflict between Imperial Japan and Nationalist China threatened long-established Western interests. These interests took many forms, from large international settlements with extraterritorial jurisdiction at dozens of treaty ports along China’s coast to factories, railroads, and warehouses throughout the country to missionary schools and churches tucked deep in the country’s hinterland. By the mid-1930s, the US had around 2,400 ground troops in China, with 528 Marines on station in Beijing, 785 Army troopers posted to Tientsin, and 1,100 Marines stationed at Shanghai. 4 In addition, units of the US Asiatic Fleet regularly visited Chinese ports, with Admiral Yarnell’s flagship the Augusta (a heavy cruiser) anchored conspicuously at Shanghai’s Battleship Row throughout the summer and fall of 1937. Lastly, the riverine gunboats of the US Yangtze Patrol provided a reassuring presence deep into the interior of China for the scattered American missionary outposts, schools, trading enclaves and businesses strung out along South China’s major trade corridor, the Yangtze River. By this time, Sino-Japanese fighting had spread from Northern China and the Beijing area to Shanghai and the Yangtze River valley. Americans, other Westerners, and Chinese civilians became caught in the crossfire, with both sides showing a general disregard for non-combatant lives and neutral property. Less than three months after warning Hirota that overeager Japanese aviators might plunge relations between the US and Japan into a crisis, Grew found himself issuing orders to the American embassy staff in Tokyo to begin planning for a hurried departure. 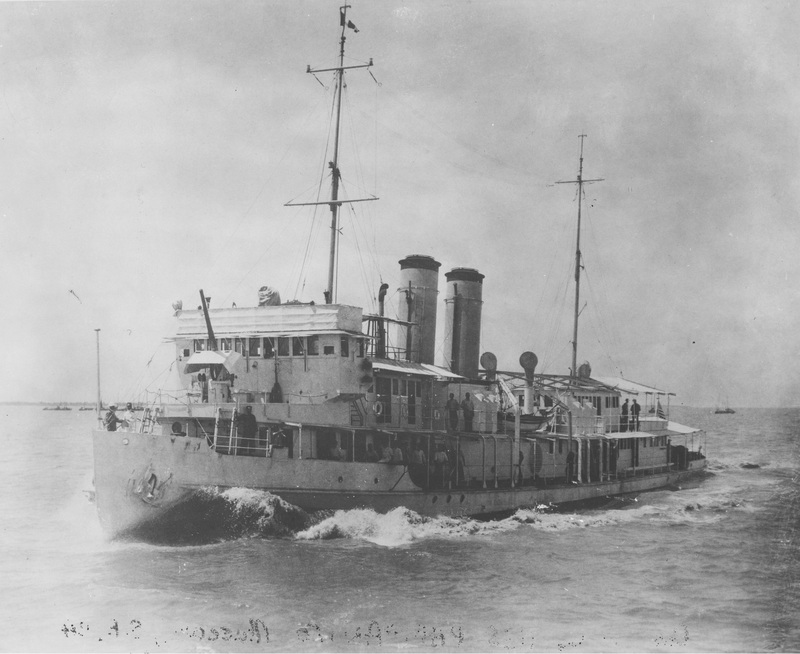 The ambassador had received word that Japanese aircraft had sunk the USS Panay on 12 December as it lay at anchor upstream of Nanking. Roosevelt predicted that some Americans were going to get hurt, and instructed Leahy to work out plans to evacuate those American who wished to leave. The president, according to Secretary of the Treasury Morgenthau, told Garner that the administration would base its policies in the Far East “on the hope of Japanese disaster, which could be produced by a rise in the strength of Russia and China and a revolt on the part of the Japanese population against militarism.” 12 Yet hope is not a strategy, and FDR would find that creating policies that supported his aspirations was difficult given the domestic political climate which prevailed within the United States. Public opinion was divided on the matter. On August 5th, Gallup conducted a poll asking whether the United States should withdraw all troops in China in order to keep from getting involved in the fighting, or keep them there to protect American rights. Fifty-four percent of those polled answered “withdraw,” forty-six responded “Remain.” Yet when the president remarked to some journalists that same day that Americans in China had been urged to leave and those who decided to remain did so “at their own risk,” hundreds of messages poured into the White House from missionary leaders and businessmen stunned at the statement. 15 English language newspapers in China, such as the Shanghai Evening Post and Mercury, the China Weekly Review, and the North China Daily News, reflecting the sensibilities of the American expatriate community in China, ascribed the president’s remark to an oversensitivity to Congressional isolationists and peace activists. The administration had to tread very carefully when dealing with the Sino-Japanese conflict in the summer and fall of 1937. Isolationist sentiment expressed itself not only in calls for the rapid withdrawal of US military units in China and in demands that FDR implement the Neutrality Act, but in a deep-seated skepticism toward any joint, multinational, or international response to the crisis. Japanese naval aircraft attacked the USS Panay in the early afternoon of Sunday, 12 December 1937. The ship sank beneath the muddy surface of the Yangtze shortly before four in the afternoon. The initial attack destroyed the ship’s transmitter, with the Panay’s survivors hiding in the riverbank reeds until nightfall as they feared that the Japanese intended to kill them. As word reached the Commander of the United States Yangtze Patrol and the American ambassador to China that British gunboats had been subjected to Japanese artillery and air attacks that Sunday afternoon, a sense of alarm began to grip State and Navy Department personnel in Hankow. Ambassador Johnson sent an urgent telegram to Washington shortly before midnight China time letting the Secretary of State know that nothing had been heard from the Panay since 1335. At 930 on Monday morning (Sunday evening in Washington), the American ambassador received a telephone call from an American missionary doctor in Anking relaying the information that the Panay had been sunk, with fifty-four survivors gathered in the town of Hohsien. The Ambassador and the Commander of the United States Yangtze Patrol rushed to inform their respective superiors of the news. By late Sunday evening Eastern Standard Time, State and Navy leadership in Washington had been informed that the Panay was destroyed. As Washington began to grapple with the news, the Japanese government sought to defuse the situation by immediately apologizing for the incident at multiple levels and across time zones. 24 1937, vol.4, 497-98.] In Tokyo, Foreign Minister Hirota broke with diplomatic protocol by personally visiting the American embassy to express his regret for the incident. 25 The Japanese Navy Minister meanwhile sent his senior aide to the US naval attaché in Tokyo to convey the Navy Minister’s “sincerest regret to this unhappy accident,” with the Chief of Staff of the Japanese China Sea Fleet paying a formal call to Admiral Yarnell on the flagship Augusta in Shanghai to apologize and offer medical assistance. 26 In Washington, the Japanese ambassador requested an urgent meeting with the US Secretary of State, intent on conveying his government’s full and sincere apologies for the “very grave blunder” which had occurred. The president received conflicting counsel from his inner circle as the crisis broke. The president’s instinct was to express shock, demand an apology, but wait until all facts were assembled before offering more precise terms of settlement. The Naval Court of Inquiry convened to investigate what had happened took a week to file its official account; the journalists who had been onboard the Panay, in particular Colin MacDonald for The Times of London and Norman Soong for the New York Times, worked on faster deadlines. Before even arriving in Shanghai with the other dazed and wounded Panay survivors, MacDonald and Soong somehow managed to send the first eyewitness accounts of the bombing. Over the coming days, more eyewitness accounts would make their way into the papers, with the incident dominating the news cycle. While the president and his advisers waited for the findings of the Naval Court of Inquiry, they discussed several different options that might underline the gravity and urgency of the situation. These ranged from imposing a naval blockade on Japan to organizing a joint demonstration of force with the British to using economic tools to punish the Japanese. Each option, after careful consideration, was shelved or watered down. 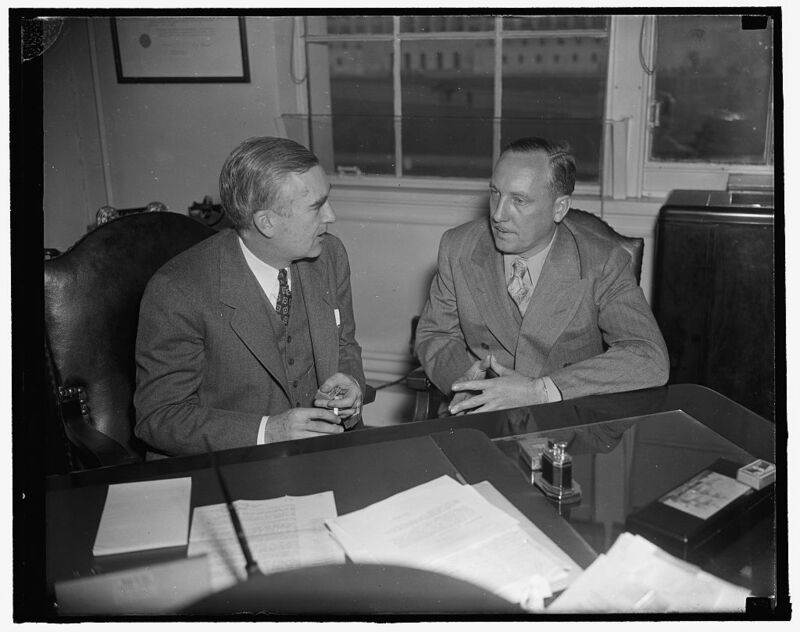 Secretary of the Navy Claude Swanson, though old and in poor health, was enraged by the attack and “shouted for war in his feeble voice” during the cabinet meeting held on 17 December 1937. 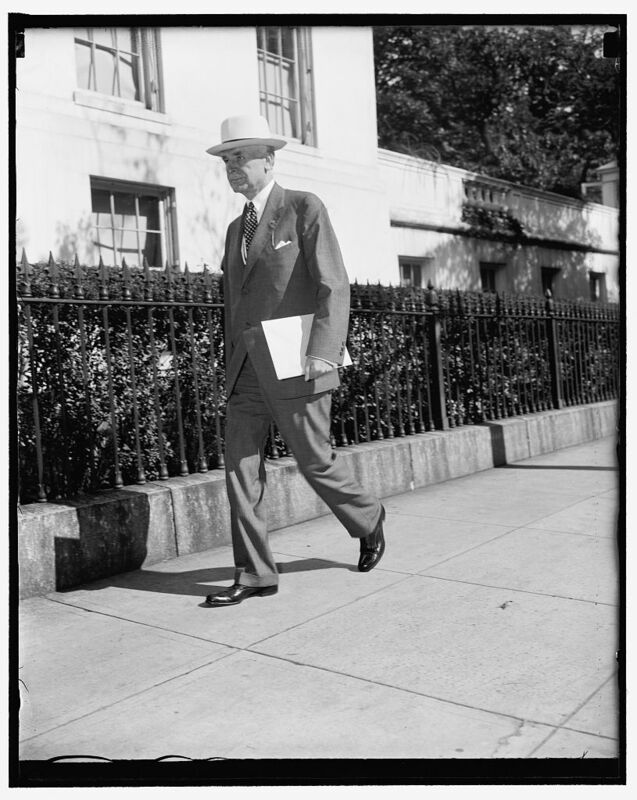 29 Swanson made his case forcefully despite difficulty speaking, arguing that war with Japan was inevitable. Given this unfortunate reality, it was better to fight Japan now while its military was bogged down in China rather than wait until Japan had consolidated its hold over the mainland. Returning to a point he had made months earlier, Swanson pointed out that Japan was highly dependent on imports and therefore vulnerable to naval pressure. Admiral Leahy, the Chief of Naval Operations, advised the president to send the ships of the fleet to navy yards “without delay to obtain fuel, clean bottoms, and take on sea stores preparatory for a cruise at sea.” 30 He outlined the idea of imposing distant blockade on Japan in cooperation with the British, a concept that caught FDR’s fancy. After listening to Swanson vent his anger and call for war, FDR painted the broad contours of the concept to his cabinet. The president viewed a distant blockade as less drastic than fleet action, and remarked that the US Navy could blockade Japan from the Aleutian Islands to Hawaii to Guam, with the British taking over the blockade from there to Singapore. FDR asserted that a blockade was “comparatively simple task which the Navy could take care of without having to send a great fleet.” He believed that a joint Anglo-American blockade would bring Japan to its knees within a year. 31 The concept, however, required collaboration with the British Navy, and would put thousands of American civilians still in China – as well as the US troop detachments at Beijing, Shanghai, and Tientsin – at risk. FDR realized that while many Americans were appalled by Japanese behavior in the Far East, few wanted to go to war with Japan over American gunboats on the Yangtze or Japanese atrocities in Shanghai, Nanking, or elsewhere. Domestic realities made it difficult for the president to openly engage in coercive diplomacy. 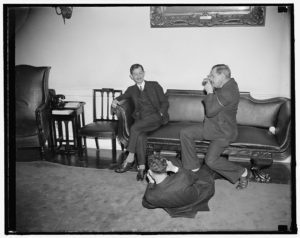 In groping for a way to respond to aggression without resorting to war, FDR toyed with the idea of using the United States’ economic power to exert pressure without force. This would be particularly useful if the Japanese either refused to pay indemnities for their attack on the Panay, or if they dragged their feet and quibbled about the damages demanded. During the first cabinet session after the Panay’s destruction, FDR declared that there were lots of ways of fighting without declaring war, indicating that economic sanctions might constitute a smart and modern response to Italian and Japanese aggression. He instructed Secretary of the Treasury Morgenthau to ascertain what authority the president had to seize Japanese assets and hold them against payment of damages. 37 Morgenthau consulted his senior legal advisor, General Counsel Herman Oliphant, and reported the next day that a 1933 amendment to the Trading with the Enemy Act empowered the president to issue regulations that prohibited or restricted exchange transactions if the president declared a national emergency. FDR was delighted and instructed Morgenthau to develop the concept further. One of the major stumbling blocks to the Treasury plan was that Japan might sell or convert its assets before they could be frozen. To render the plan workable, the British would have to be brought onboard. The President directed Morgenthau to contact Sir John Simon, Chancellor of the Exchequer, directly, bypassing the usual diplomatic channels and keeping the matter as secret as possible. 41 The British response was cautious, and by the time Treasury had completed drafting the regulations on 21 December, Roosevelt had cooled toward the proposal. Without British cooperation, the economic instrument of power was blunt and difficult to deploy. The State Department report and the findings of the Naval Court of Inquiry made it difficult for the administration to accept the Japanese position that the entire incident had been accidental. They were uncertain, however, whether the Japanese government was itself directly responsible, or whether “wild, runaway, half-insane Army and Navy officials” in China had initiated the attack. 50 The American ambassador in Tokyo believed that the Japanese Army and Navy were “running amok, and perpetrating atrocities which the Emperor himself cannot possibly desire or sanction.” 51 As for the Japanese government, it had substantially met the four demands FDR and Hull had communicated. The Japanese government had expressed its regret. It had indicated that it stood ready to pay damages. It was providing assurances that it was putting restrictions on its forces so as to prevent any repetition of similar incidents in the future. Lastly, the Japanese took the unusual step of removing a commander and reprimanding his subordinates. Given that he had no proof that the Japanese government had instigated the attack, the president decided to settle the matter. On the afternoon of Christmas Day, Hull sent a note to Tokyo indicating that the United States regarded the Japanese note as “responsive” to American requests. When Grew, the American ambassador in Japan, communicated the American acceptance of the Japanese note to Foreign Minister Hirota, he recorded that Hirota’s eyes filled with tears. The Foreign Minister remarked to Grew that “I heartily thank your Government and you yourself for this decision. I am very, very happy. You have brought me a splendid Christmas present.” 52 The Panay crisis was over. 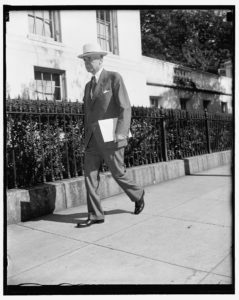 Diary entry 20 December 1937, Joseph C. Grew, Ten Years in Japan: A Contemporary Record Drawn from the Diaries and Private and Official Papers of Joseph G. Grew, United States Ambassador to Japan, 1932-1942 (New York: Simon and Schuster, 1944), 235.